Sarde a beccafico, or stuffed sardines, is arguably my favorite “secondo,” or second dish. Tonight at Zest!, GoSicily: Sicilian Cooking Experience’s Annalisa Pompeo taught us how to make this signature Sicilian recipe. 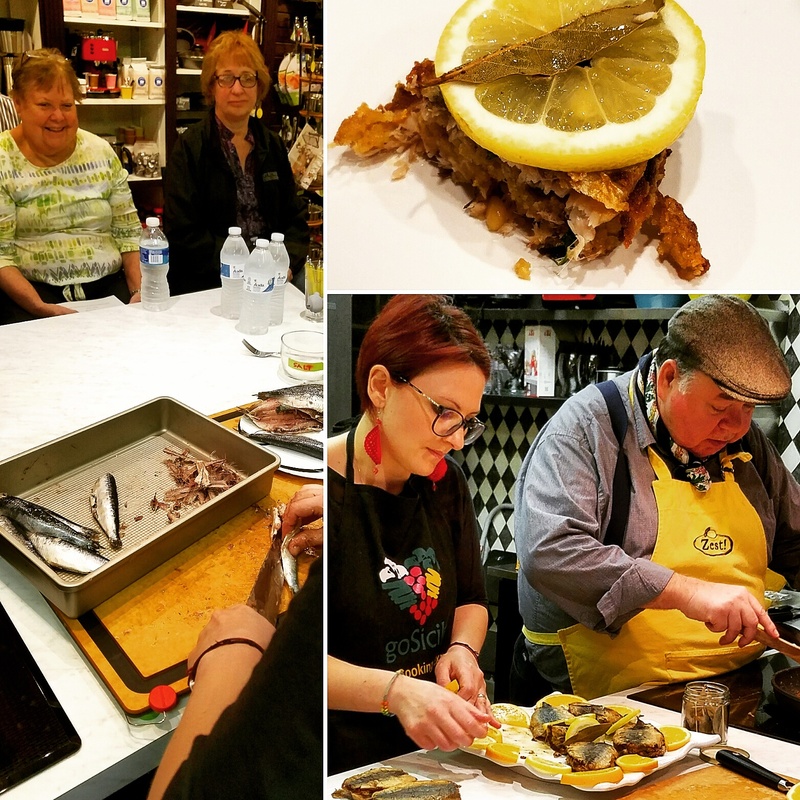 With assistance from beloved teacher Nino Elia, we learned how to make the stuffing mixture, prepare the fresh sardines, and fry them up. These aren’t your neighborhood supermarket canned sardines, folks! The fresh ones, right out of the Mediterranean Sea are fantastic! Now, you’ll have to join us in Sicily for our September 15-22, Stirring Sicily trip with Annalisa and Nino to taste them for yourself! Contact me today at AllisonScola@ExperienceSicily.com for more details.